By lucky chance, I decided to make donuts today. Because of the time difference, It means I can blog about donuts on National Donut Day in the U.S. 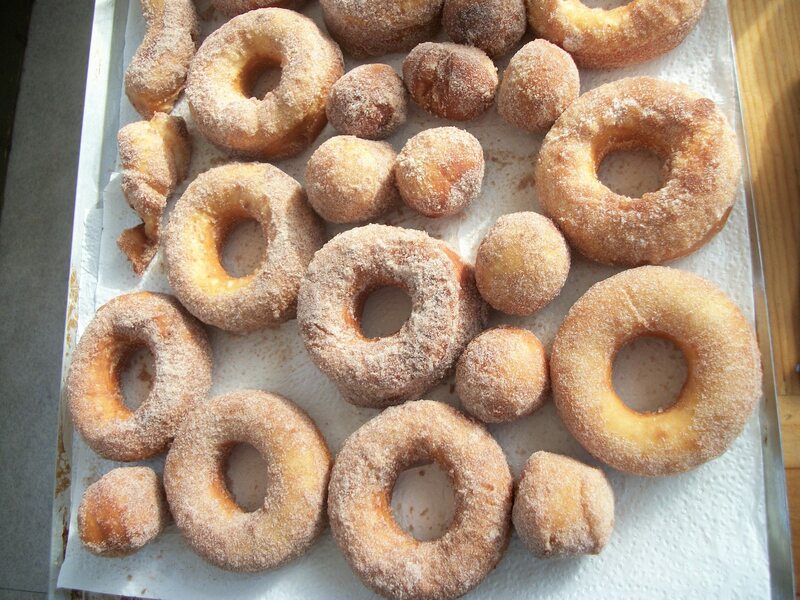 I don’t think I’ve made donuts since the early 1990s, when I used to make them as part of living history programs for school kids at Camp Tamarack. I still have the old Camp Tamarack baking powder raised donut recipe, but decided today to go with a yeast raised donut. I won’t post the recipe I used, because I wasn’t entirely happy with it. It has promise, but I think I need to tweak it a bit. Make a few more batches of donuts. Maybe try them with chocolate frosting…hmm. Sounds like a great winter project!